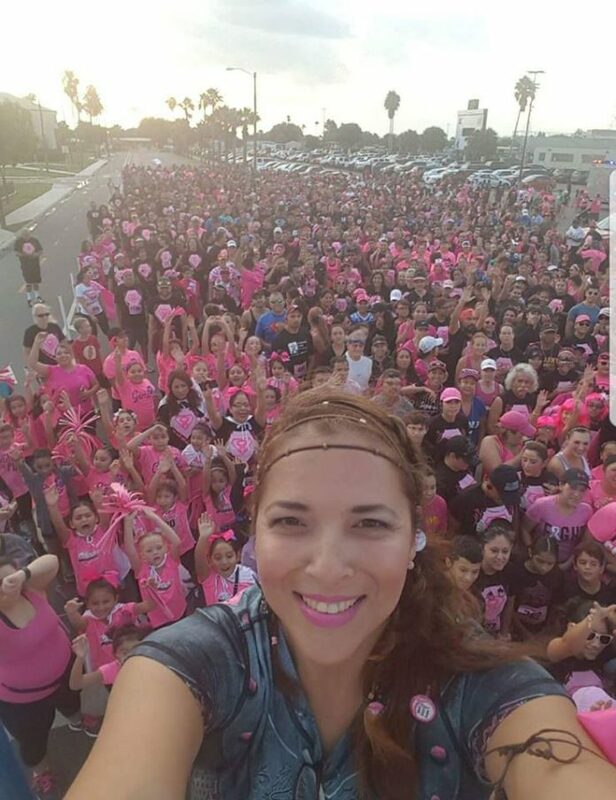 Eight years ago JoAnne Perez Peña embarked on a cancer awareness walk to help bring support to her sister, Sandie Perez. Her sister had been diagnosed with breast cancer and ultimately lost her battle to the disease in 2009. Their mother, Celia Perez, had died from breast cancer just a year earlier. Devastated over the loss of her mother and sister, Peña sparked an awareness run in their honor to help other women get information and prevention they needed to stay healthy. What started off as a short run with 120 participants has steadily grown into a major awareness event seeing over 1,200 attendees. The annual Love Your Cha Chas 5K, this year themed 80s Invasion, is set to take place Oct. 14, on a trail near the Hidalgo County Courthouse in Edinburg. “Cha Cha” was Peña’s mother’s nickname and is who the 5K is named after. Peña, 50, grappled with her own cancer scare a few years ago after doctors found benign tumors in her breasts. In order to prevent any cancerous tumors forming Peña underwent a double mastectomy to remove any possible threat. After reconstruction surgery Peña became very ill and was diagnosed with depression and anxiety. The once avid runner wasn’t able to run as frequently as she was used to and her body was going into shock. Slowly, through short walks and receiving plenty of support, Peña was able to overcome her debilitations. The annual Love Your Cha Chas 5K is a way for cancer survivors or family members of cancer victims to come together and find that kind of support, Peña said. To make the run more significant, the trail route has been mapped out to go by her mother’s house. All proceeds from the Love Your Cha Chas 5K will go to Doctors Hospital at Renaissance Cancer Foundation for cancer research. There will be a survivor walk before the race at 7:30 a.m. which will honor cancer survivors as they are cheered on to the finish line.